The Thunder Basin Saga collection is perfect for many different types of layouts, from camping, vacation & travel, and heritage to family and children. The palette was chosen as a reflection of the colors of the earth and sky in the big expanse of the prairie. 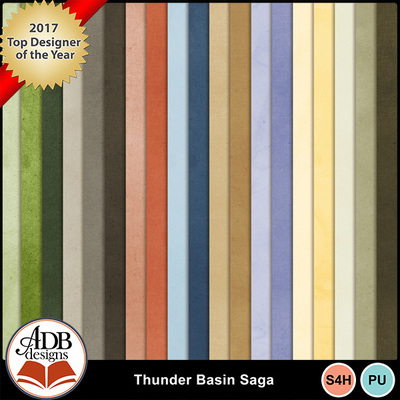 19 background papers in the full range of the Thunder basins Saga palette. Each product is offered individually for your convenience; however, the Thunder Basin Saga Bundle is your best value.